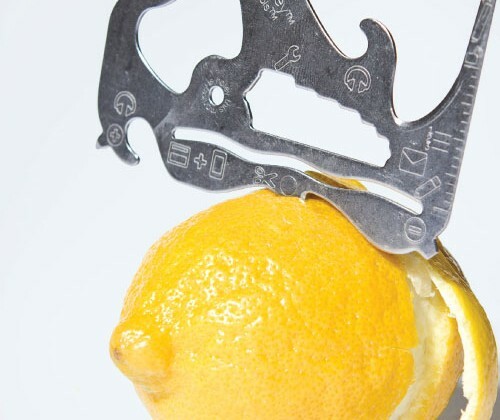 It was with a certain amount of skepticism that we brought the PocketMonkey by Zootility into our offices for testing, but since putting the 1-millimeter-thick multi-tool into our wallets, we’ve found even more than the advertised 12 uses for it. The PocketMonkey is far from the only credit-card shaped tool on the market, but it’s certainly the most charming. Since testing began we have used the heat-treated stainless steel card to open mail and packages, to serve as an iPhone stand, to pry open a lamp and soda bottles, fix desk drawers and even to open other PocketMonkeys. When one tester was putting together a stubborn mail-order couch, he found the PocketMonkey’s hex wrench even better suited to the task than the tool designed by the furniture company.